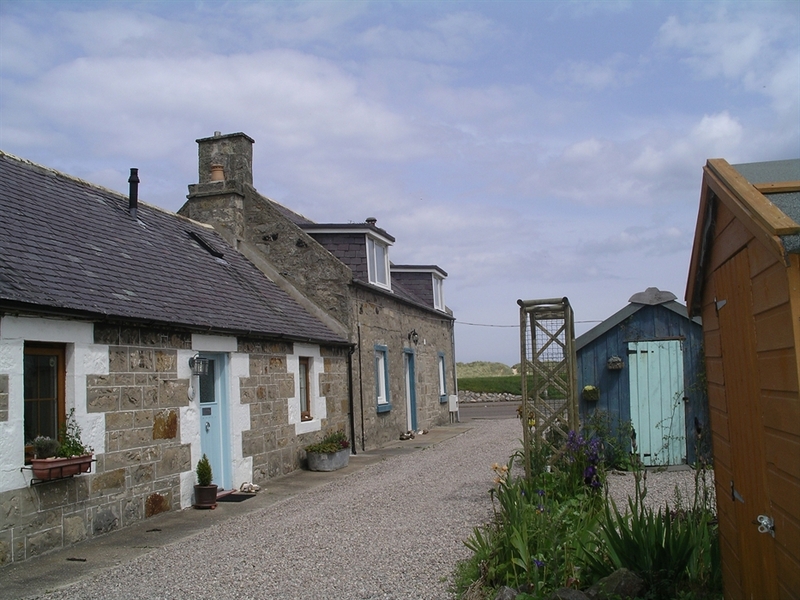 No.6 Seatown is a traditional fisherman’s cottage, cosy and intimate with a sheltered and secluded garden. 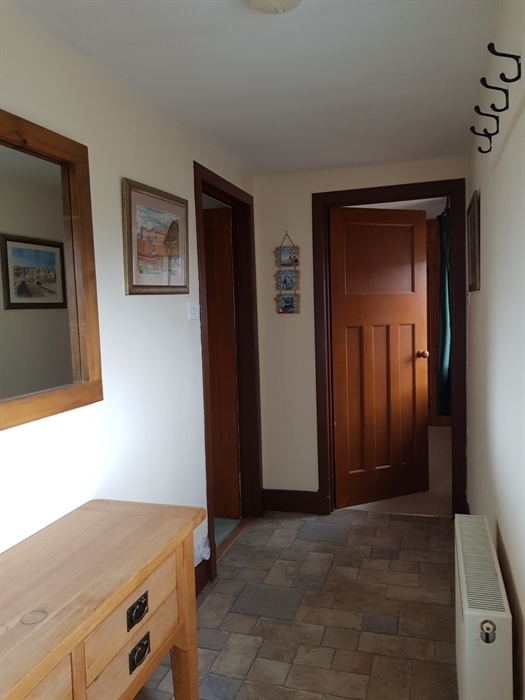 The cottage is ideal for couples, those with young families, or those with limited mobility. 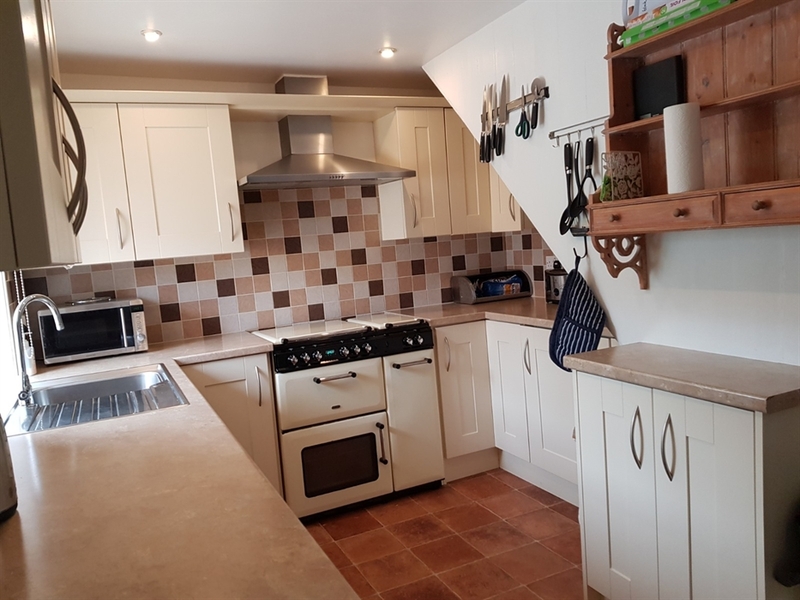 No.6 Seatown provides comfortable and cosy accommodation in a stunning location, just opposite the bridge to the fabulous East Beach and an easy walk to the woods along the river’s edge. The village of Lossiemouth is compact, but has the necessary shops, restaurants and pubs. It is ideal, not just for a beach, golfing or fishing holiday, but also for touring the Malt Whisky and Castle trails, as well as longer day trips to places such as the Cairngorms National Park or Loch Ness. Well behaved dogs are welcome, but we do ask that they are not allowed on the furniture or in the bedroom. 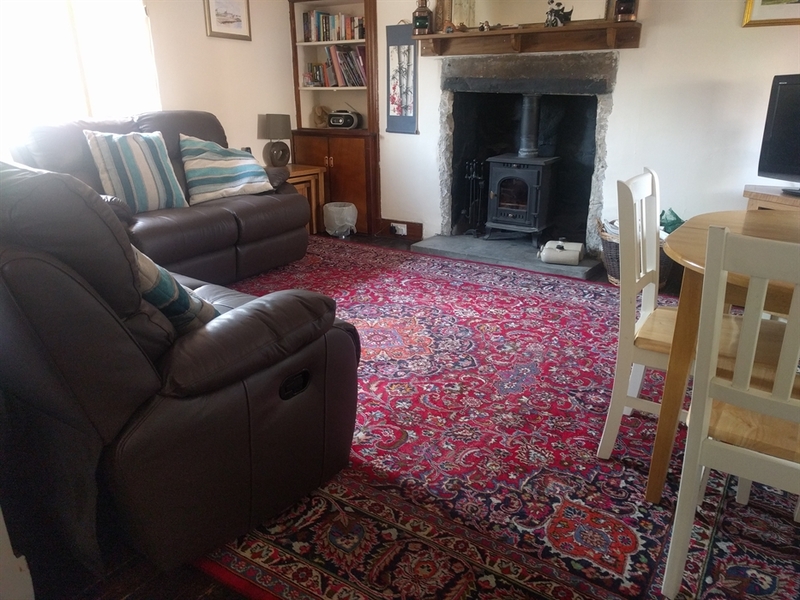 Two leather sofa’s, real woodburning stove, dining table & 4 chairs, satellite TV, DVD player, CD player and Wi-Fi. The lounge opens out into the galley kitchen. 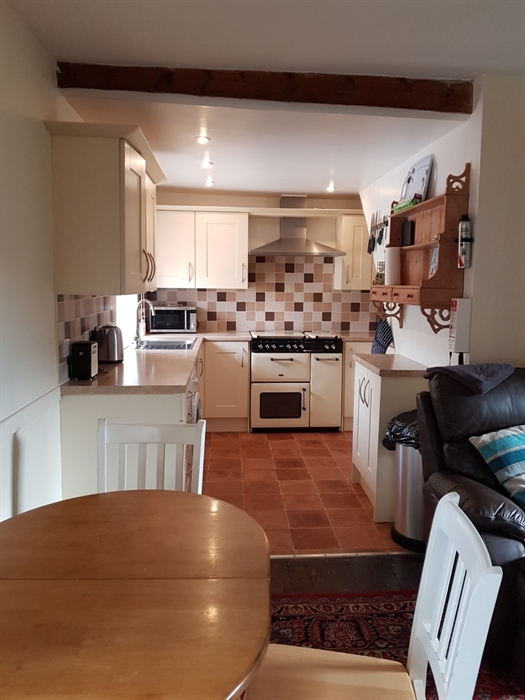 Well-equipped with 5 ring cooker with double oven, a kettle, toaster, dishwasher, cooker, microwave, fridge, washing machine, crockery, cutlery, glasses and cooking utensils. 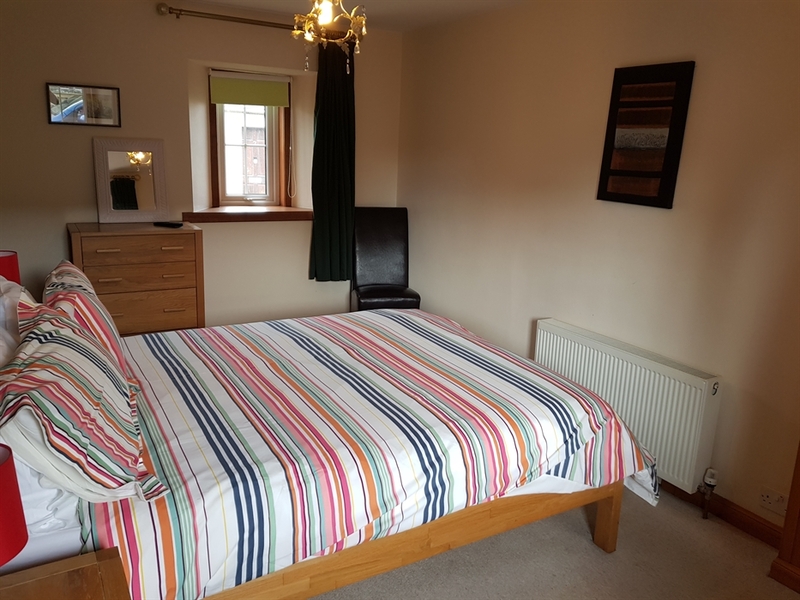 King Size double bed on the ground floor, suitable for guests with limited mobility. 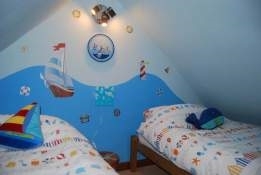 Both upstairs, because of their low ceilings, we have kitted these out as a children’s twin room and a ‘den’ – complete with bean bags, a toy chest and a second TV & DVD player. 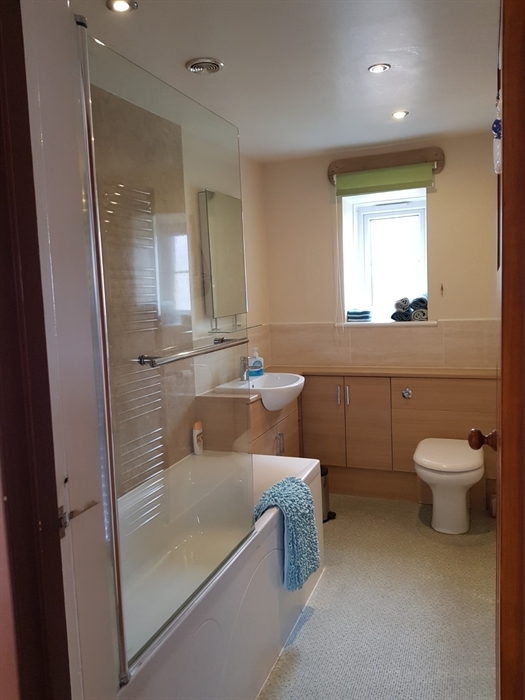 Three piece bathroom suite with shower over the bath, situated on the ground floor. Outside there is a garden shed, and a fairly sheltered and secluded garden. The cottage is WIFI enabled and has a telephone which receives incoming calls. Prices range from £350 per week in the off peak winter months to £630 per week in the high summer. There is a supplement of £10 per dog, should you wish to bring one (or two! ), but we do ask that they are kept out of the bedrooms and not allowed on the furniture. The price includes all linen, towels, heating, electricity and a welcome pack with the basic necessities for that first cooked breakfast.